Hello, peephole. (people.) Just a little update. I've been keeping this blog online for some time, my most recent blog entries always so negative, I keep having to see that negativity every time I check to make sure the blog's up, lol. I'm tired of it so I thought I'd post something positive. My current job is one I hope to keep for years and years to come, and if that doesn't work out I'll be looking for one just like it and try to keep it for years and years to come. I'm so done with contracting and consulting (except the occasional mentoring session on code mentor -dot- io). I'm still developing, of course, and as technology is changing, here's what's up as I see it. It's a total redux by means of redo. It's like the Star Trek reboot except it’s smaller and there are fewer planets it can manage, but it’s exactly like the Star Trek reboot in that it will probably implode yours. If you've built your career on ASP.NET and you want to continue living on ASP.NET's laurals, now is not the time to master ASP.NET 1.0 Core. Give it another year or two to mature. If you're stuck on or otherwise fascinated by non-Microsoft operating systems, namely Mac and Linux, but you want to use the Microsoft programming stack, you absolutely must learn and master ASP.NET Core 1.0 and EF7. I don’t know what to think about things anymore. Angular 2.0 requires TypeScript, people hate TypeScript because they hate transpilers. People are still comparing TypeScript with CoffeeScript. People are dumb. If it wasn’t for people I might like Angular 2.0, and for that matter I’d be all over AureliaJS, which is much nicer but just doesn’t have Google as the titanic marketing arm. In the end, let’s just get stuff done, guys. Build stuff. Don’t worry about frameworks. Learn them all as you need them. Node.js is fading and yet slowly growing in relevance. Do you remember .. oh heck unless you're graying probably not, anyway .. do you remember back in the day when the dynamic Internet was first loosed on the public and C/C++ and Perl were used to execute from cgi-bin, and if you wanted to add dynamic stuff to a web site you had to learn Perl and maybe find Perl pearls and plop them into your own cgi-bin? Yeah, no, I never really learned Perl, either, but I did notice the trend, but in the end, what did C/C++ and Perl mean to us up until the last decade? Answer: ubiquitous availability, but not web server functionality, just an ever-present availability for scripts, utilities, hacks, and whatever. That is where node.js is headed. Node.js for anything web related has become and will continue to be a gigantic mess of disorganized, everyone-is-equal, noisily integrated modules that sort of work but will never be as stable in built compositions as more carefully organized platforms. Frankly, I see node.js being more relevant as a workstation runtime than a server runtime. Right now I'm looking at maybe poking at it in a TFS build environment, but not so much for hosting things. I will always have a bitter taste in my mouth with node.js after trying to get socket.io integrated with Express and watching the whole thing just crumble, with no documentation or community help to resolve it, and this happened not just once on the job (never resolved before I walked away) but also during a code-mentor mentoring session (which we didn't figure out), even after a good year or so of maturity of the platform after the first instance. I still like node.js but will no longer be trying to build a career on it. Pay close attention and learn up on Swagger aka OpenAPI. Remember when -- oh wait, no, unless you're graying, .. nevermind .. anyway, -- once upon a time something called SOAP came out and it came with it a self-documentation feature that was a combination of WSDL and some really handy HTML generated scaffolding built into web services that would let you manually test SOAP-based services by filling out a self-generated form. Well now that JSON-based REST is the entirety of the playing field, we need the same self-documention. That's where Swagger came in a couple years ago and everyone uses it now. Swagger needs some serious overhauling--someone needs to come up with a Swagger-compliant UI built on more modular and configurable components, for example--but as a drop-in self-documentation feature for REST services it fits the bill. Swagger can be had on .NET using a lib called Swashbuckle. If you use OData, there is a lib called Swashbuckle.OData. We use it very, very heavily where I work. (I was the one who found it and brought it in.) "Make sure it shows up and works in Swagger" is a requirement for all REST/OData APIs we build now. Swagger is now OpenAPI but it's still Swagger, there are not yet any OpenAPI artifacts that I know of other than Swagger. Which is lame. Swagger is ugly. Featureful, but ugly, and non-modular. Microsoft is listed as a contributing member of the OpenAPI committee, but I don't know what that means, and I don't see any generic output from OpenAPI yet. I'm worried that Microsoft will build a black box (rather than white box) Swagger-compliant alternative for ASP.NET Core. OData v4 has potential but is implementation-heavy and sorely needs a v5. MS OData '/$count' breaks when [ODataRoute] is declared, boo. Custom actions and functions and making them exposed to Swagger via Swashbuckle.OData make me want to pull my hair out, it takes sometimes two hours of screaming and choking people to set up a route in OData where it would take me two minutes in Web API, and in the end I end up with a weird namespaced function name in the route like /OData/Widgets/Acme.GetCompositeThingmajig(4), there's no getting away from even the default namespace and your EDM definition must be an EXACT match to what is clearly obviously spelled out in the C# controller implementation or you die. I mean, if Swashbuckle / Swashbuckle.OData can mostly figure most of it out without making us dress up in a weird Halloween costume, surely Microsoft's EDM generator should have been able to. "Simple CRUD apps" vs "messaging-oriented DDD apps"
has become the new Microsoft vs Linux or C# vs Java or SQL vs NoSQL. The war is really ugly. Over the last two or three years people have really been talking about how microservices and reaction-oriented software have turned the software industry upside down. Those who hop on the bandwagon are neglecting to know when to choose simpler tooling chains for simple jobs, meanwhile those who refuse to jump on the bandwagon are using some really harsh, cruel words to describe the trend ("idiots", "morons", etc). We need to learn to love and embrace all of these forms of software, allow them to grow us up, and know when to choose which pattern for which job. Non-transactional message-oriented solutions and related patterns like CQRS-ES scale out well but scale developers' and testers' comprehension very poorly; they have an exponential scale of complexity footprint, but for the thrill seekers they can be, frankly, hella fun and interesting so long as they are not built upon ancient ESB systems like SAP and so long as people can integrate in software planning war rooms. Disparate data sourcing as with DDD with partial data replication is a DBA's nightmare. DBAs will always hate it, their opinions will always be biased, and they will always be right in their minds that it is wrong and foolish to go that route. They will sometimes be completely correct. Integrated functional unit tests are more valuable than TDD-style purist unit tests. That’s my new conclusion about developer testing in 2016. Purist TDD mindset still has a role in the software developer’s life. But there is still value in automated integration tests, and when things like Entity Framework are heavily in play, apparently it’s better to build upon LocalDB automation than Moq. At least, that’s what my current employer has forced me to believe. Sadly, the purist TDD mindset that I tried to adopt and bring to the table was not even slightly appreciated. I don’t know if I’m going to burn in hell for being persuaded out of a purist unit testing mindset or not. We shall see, we shall see. I'm hearing some weird and creepy rumors I don't think I like about SQL Server moving to Linux and eventually getting itself renamed. I don't like it, I think it's unnecessary. Microsoft should just create another product. Let SQL Server be SQL Server for Windows forever. Careers are built on such things. Bad Microsoft! Windows 8, .NET Framework version name fiascos, Lync vs Skype for Business, when will you ever learn to stop breaking marketing details to fix what is already successful??! Speaking of SQL Server, SQL Server 2016 is RTM'd, and full blown SSMS 2016 is free. On-premises TFS 2015 only just recently acquired gated check-in build support in a recent update. Seriously, like, what the heck, Microsoft? It's also super buggy, you get a nasty error message in Visual Studio while monitoring its progress. This is laughable. Clear message from Microsoft: "If you want a premium TFS experience, Azure / Visual Studio Online is where you have to go." Microsoft is no longer a shrink-wrapped product company, they sell shrink wrapped software only for the legacy folks as an afterthought. They are hosted platform company now all the way. . This means that Windows 10 machines including Nokia devices are moving to be subscription boxes with dumb client deployments. Boo. Microsoft is going to abandon the game industry. The Xbox platform was awesome because Microsoft was all in. But they're not all in anymore, and it shows, and so now as they look at their lackluster profits, what did they expect? Microsoft: Either stay all-in with Xbox and also Windows 10 (dudes, have you seen Steam's Big Picture mode? no excuse!) or say goodbye to the consumer market forever. Seriously. Because we who thrive on the Microsoft platform are also gamers. I would recommend knocking yourselves over to partner with Valve to co-own the whole entertainment world like the oligarchies that both of you are since Valve did so well at keeping the Windows PC relevant to the gaming markets. 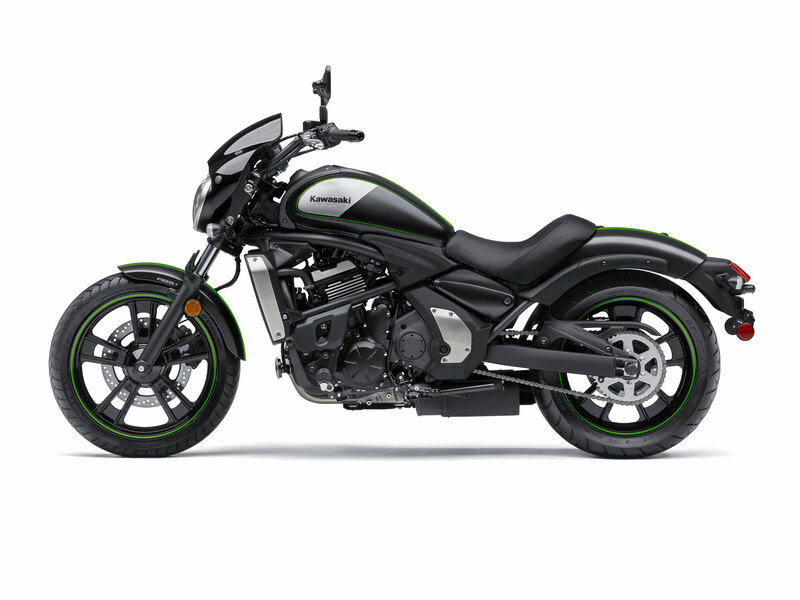 For the most part I've probably lived under a rock, I'm sure, I've been too busy enjoying my new 2016 Subaru WRX (a 4-door racecar) which I am probably going to sell in the next year because I didn't get out of debt first, but not before getting a Kawasaki Vulcan S ABS Café as my first motorized two-wheeler, riding that between playing Steam games, going camping, and exploring other ways to appreciate being alive on this planet. Maybe someday I'll learn to help the homeless and unfed, as I should. BTW, in the end I happen to know that "love God and love people" are the only two things that matter in life. The rest is fluff. But I'm so selfish, man do I enjoy fluff. I feel like such a jerk. Those who know me know that I am one. God help me. Top row: Fluff that doesn’t matter and distracts me from matters of substance. Bottom row: Matters of substance.